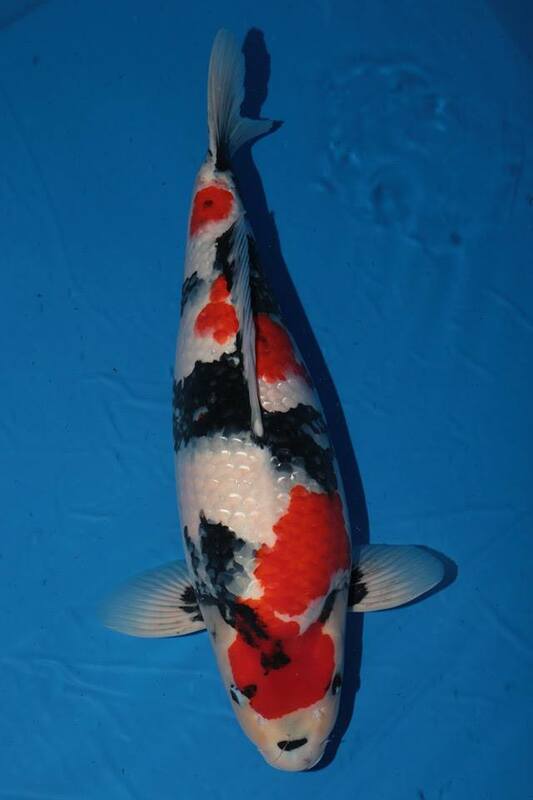 New World Record koi auction price set at today’s Dainichi Koi Farm Auction 2013. 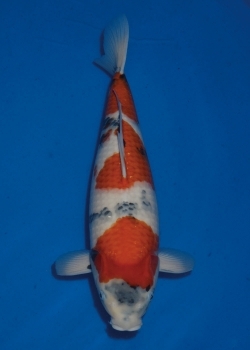 At an incredible price of 21,500,000 Yen, it was a beautiful nisai Dainichi Showa, an offspring of Dainichi Female Parent Koi (Oyagoi), “Gachako”. 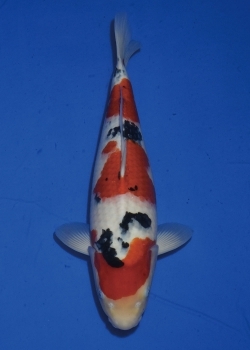 The last world record auction price koi was only set recently by a Sakai Taisho Sanke at the Sakai Fish Farm Koi Auction 2013 for a price of 21,000,000 Yen. Please enjoy the following pics taken by and courtesy of Mark Gardner. 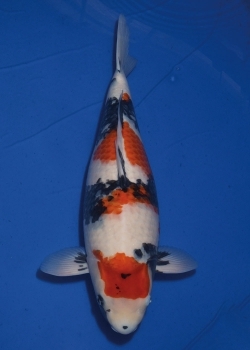 Marugen Koi Farm wishes to congratulate Dainichi Koi Farm on its extremely successful & bountiful fruits on its recent Dainichi Koi Auction 2013, as well as the new owner, Ryuki Narita from Narita Koi Farm on his new World Record Price Breaking Auction Koi – a beautiful Danichi Showa! Every koi hobbyists are now looking at the upcoming Dainichi Koi Auction 2013 (dated 07 Oct 2013), to see if Dainichi will claim the Most Expensive Auction Koi, only recently set by Sakai Fish Farm Auction 2013, for a beautiful Sakai Nisai Sanke, for an astronomical price of 21,000,000 Japanese Yen (equivalent to about Singapore Dollars $270,000 or Malaysian Ringgit RM685,000). 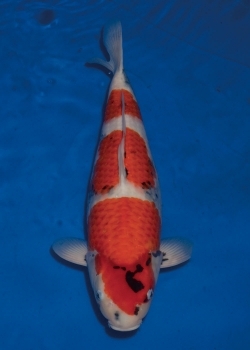 Click here to see the Most Expensive Auction Koi Fish. 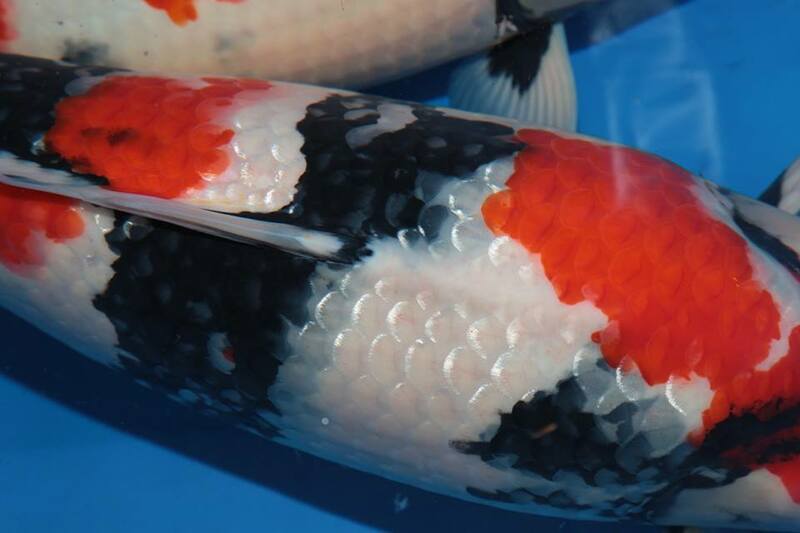 Here at Marugen Koi Farm, we decided to join in the fun by picking a few of our favourite Dainichi Kois, that will be undergoing the auction hammer tomorrow. So here goes! 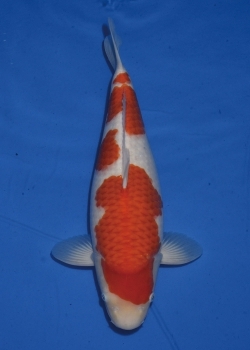 This Yonsai (4 years of age) Dainichi showa is a size 68cm beauty. She has a lovely head pattern; thick black sumi striking through a patch of blood red Beni on her forehead, accompanied by a mix of thick black Sumi & light & blurred Boke Sumi, and balanced by patches of blood red Beni pattern, and not forgetting the snow white Shiro on her shoulder. 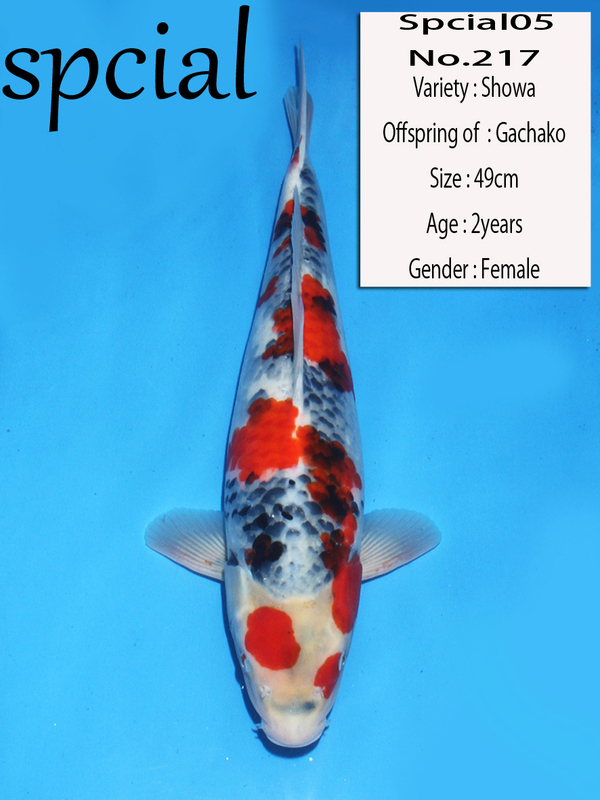 She is an offspring of Kokugyo, arguably Dainichi Koi Farm’s most famous & fruitful female oyagoi. 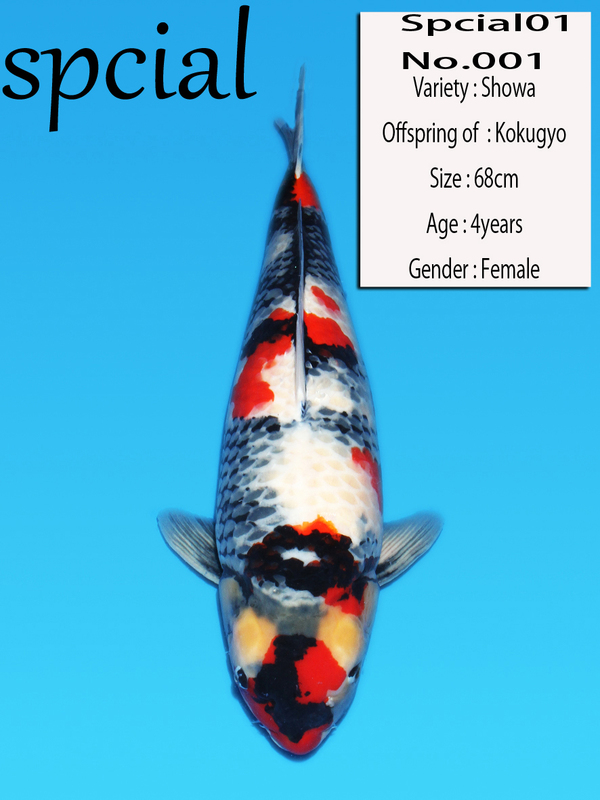 Many of Kokugyo’s offsprings were former Grand Champions, and Champions of other sizes. Will this showa No. 001 become a future Champion, like many of her successful half-siblings? Most importantly, will she break the world record for Most Expensive Auction Koi, only recently set by a Sakai Sanke at the Sakai Fish Farm koi auction 2013? This Dainichi showa has a simple yet pleasing 3 steps kohaku pattern, with well placed sumi spots that will easily make this showa look like a Sanke if not for the sumi striking through the right side of her forehead. 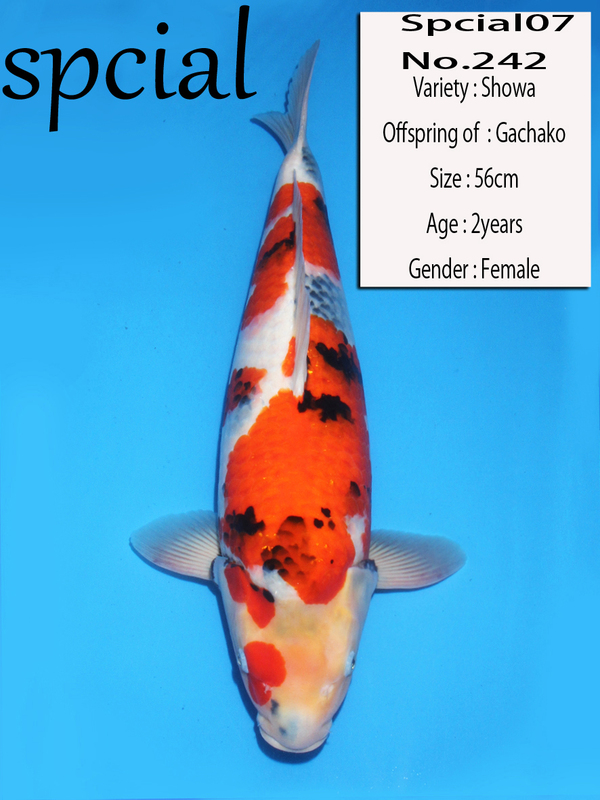 An offspring of Gachako, another popular female Oyagoi of Dainichi Koi Farm, this showa at size 56cm, is only young as a Nisai (2 years of age), and has time ahead of her to develop further. This showa has a lovely kuchi-sumi spot (black spot at the tip of her mouth), and large red beni wrapping on her huge body, with evenly placed white shiro and black sumi placements. Another young Nisai already at 55cm, she is an offspring of Butta Junior, and has a great future ahead of her. One of Marugen’s favourite. This Nisai Dainichi showa has blurred and light sumi with some thick black sumi spots, and finished with blood red beni patterns, this Boke Showa is not regarded as a traditionally prize-winning koi, but she does look charming. 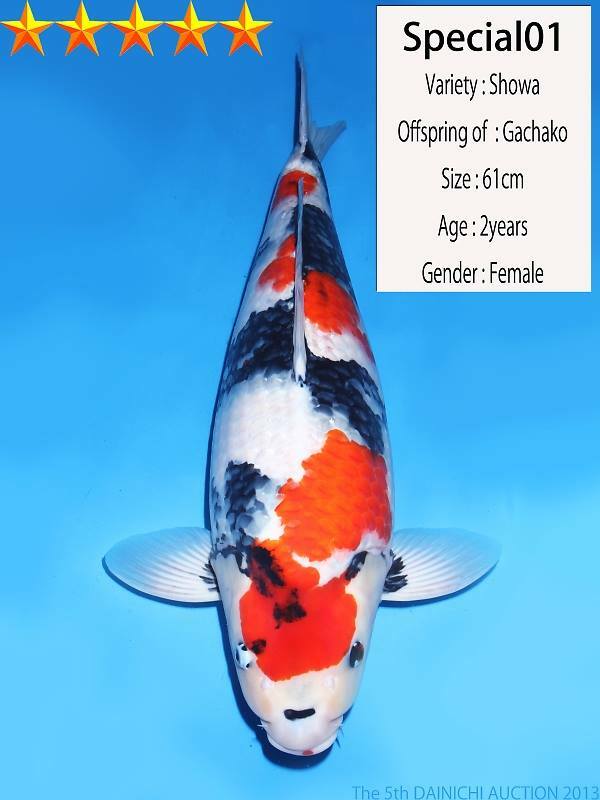 Another offspring of Gachako, she is sized at 49cm, slightly smaller built than her sister No. 061. This Dainichi showa has a nice coat of blood red beni pattern, snow white shiro, and well-balanced by patches of thick black sumi on the left side of her body. She also has a lovely mini kuchi-sumi spot at the tip of her mouth, which is rather appealing. A Nisai @ 52cm, she is still very young, and far from finished. A lot will be expected from her as more under-lying black sumi appears from under her skin. A beautiful kindai showa, she is probably one of our favourite in the pool of many beautiful Dainichi showas on auction. 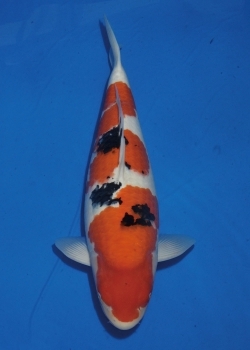 This Dainichi showa has an impressive body shape, with large blood red beni wrapping, snow white shiro skin, and a mix of black sumi spots, and boke sumi patches. 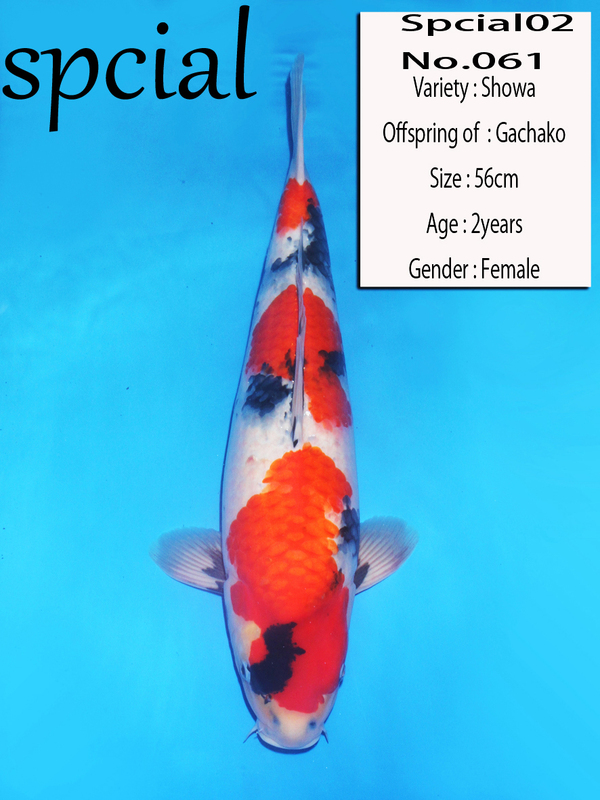 A Nisai @ 56cm, she is an offspring of Gachako, another sister of No. 061 and No. 217. She has a lovely red beni patch on her right eye, and very tiny sumi spots at the front of her forehead, though not a usual pattern for a Nisai showa, she does stands out in her own way. 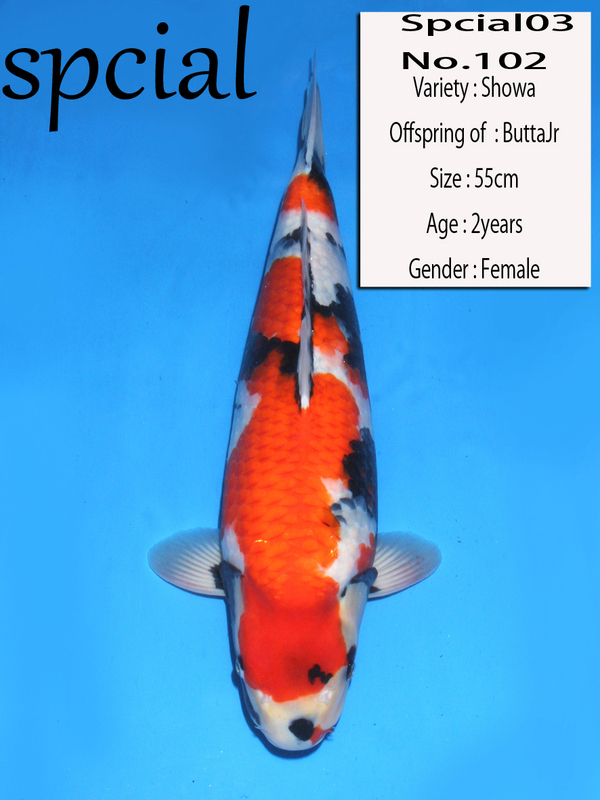 Will any of these Marugen Koi Farm‘s top picks break the World Record Koi Auction price, set recently by a Sakai Sanke at the recent Sakai Fish Farm Koi Auction 2013? We will know very soon. And will any of the above Dainichi showas become Grand Champions, like some of their predecessors? Only time will tell! 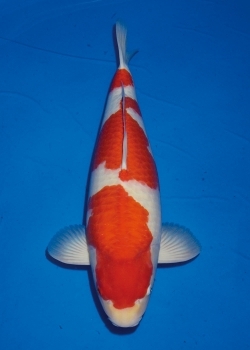 New World Record koi auction price set at the recent Sakai Fish Farm koi auction 2013. 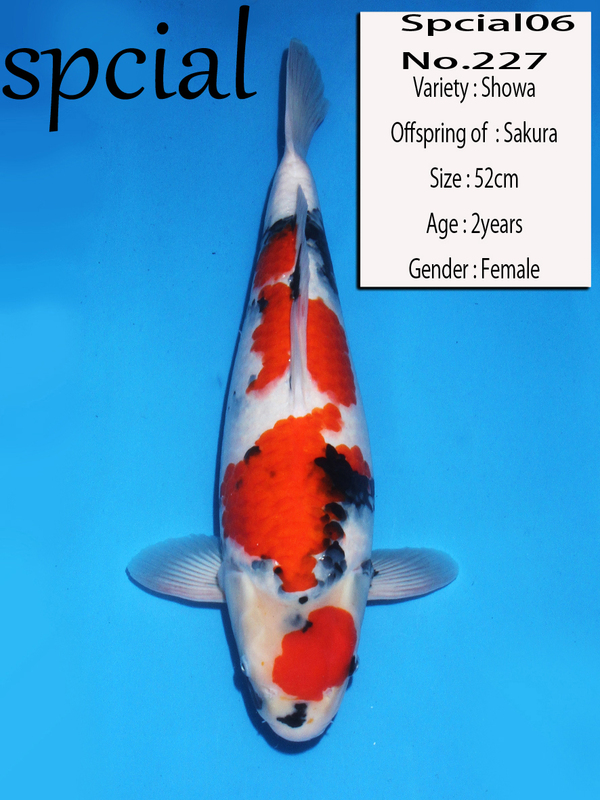 At an incredible price of 21,000,000 Yen, it was a beautiful Taisho Sanke, an offspring of Sakai Female Parent Koi (Oyagoi), “Shining Rose”. Will this young Nisai Sanke become a future Grand Champion? Only time will tell. 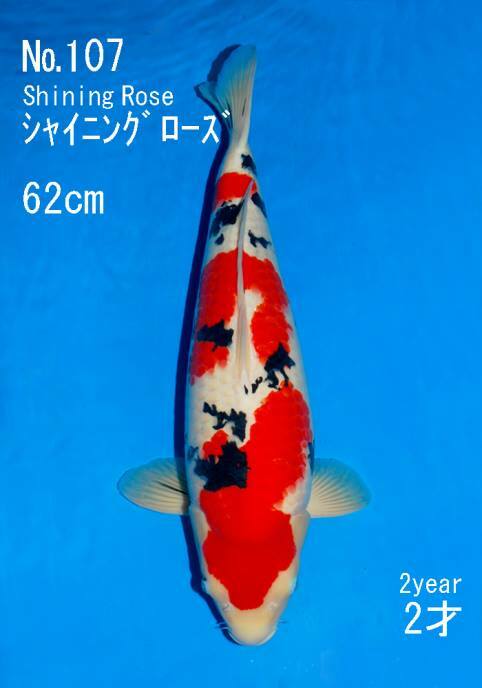 Nevertheless, Marugen Koi Farm wishes to congratulate Sakai Fish Farm on its extremely successful & bountiful fruits on its recent Sakai koi auction 2013, as well as the new owner of this World Record breaking Sanke!